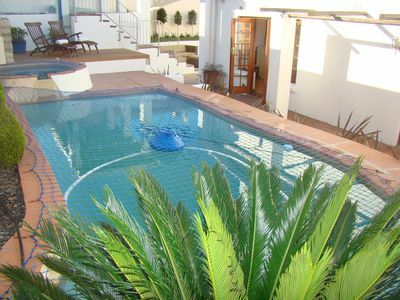 Luxury Beach Home: Magnificent Sea Views, Pool, Golf, A/C, Wifi, Secure Estate. 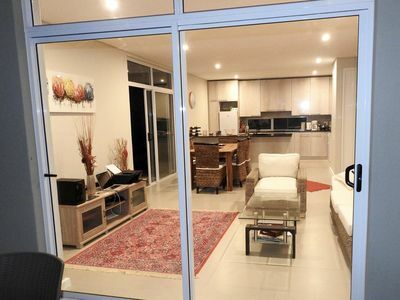 Three-bedroom house with private splash pool, ocean views, air-con and WIFI at Prince's Grant, KwaZulu-Natal, South Africa. 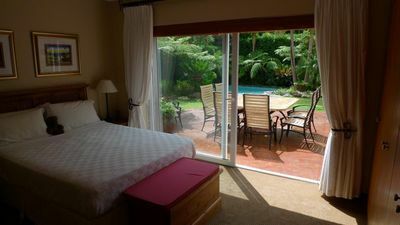 Located on tranquil and secure golf estate with beach, wildlife, sports facilities, bar & restaurant. 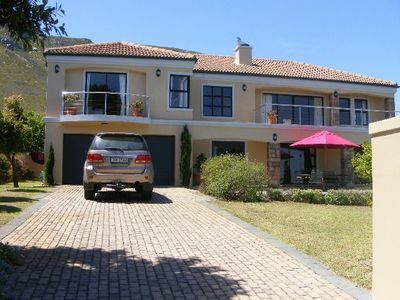 Beachhaven is located on one of South Africa's premier golf estates, Prince's Grant. 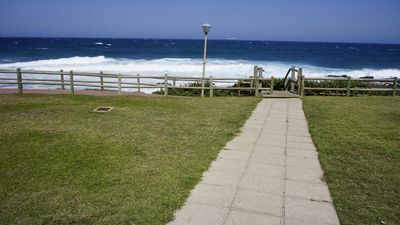 This secure estate is located on the Dolphin coast overlooking the Indian Ocean just 50 minutes north of Durban. 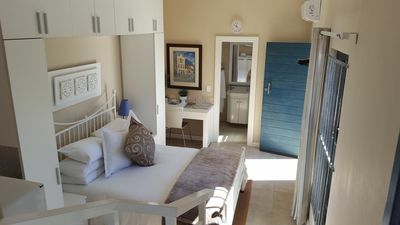 A three bedroom house, with sparkling ocean views from almost every room, it comfortably accommodates 6 people and also has a travel cot and air mattress for an extra infant or child. 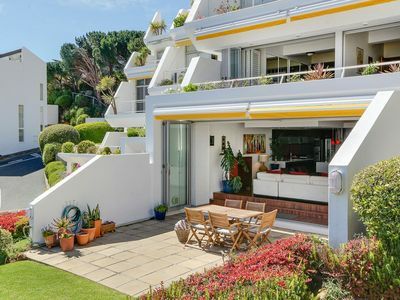 Located at the end of quiet and secluded Sandhills Road, the house is steps away from miles of unspoiled beaches. 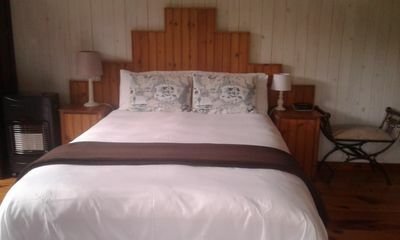 Bedrooms: 3 sea view bedrooms (2 rooms with queen size beds, 1 room with 2 single beds). All bedrooms have air conditioning. 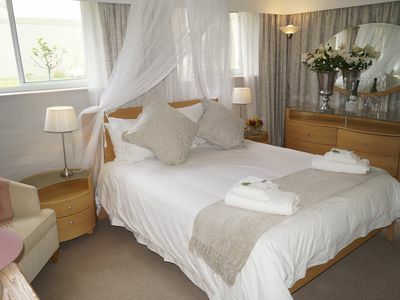 Quality white linen and towels provided. Just bring beach towels. 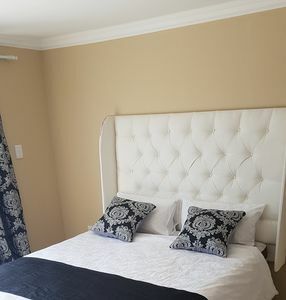 Cot and air mattress available for extra child. 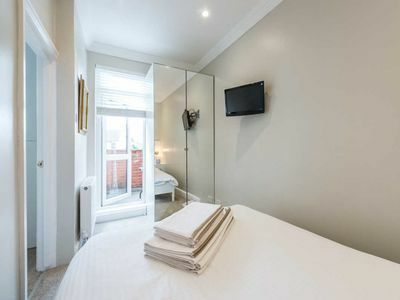 Master bedroom is en suite with walk-in shower. Family bathroom with walk-in shower and large bath with sea views. Third guest washroom and toilet is located off living area level. 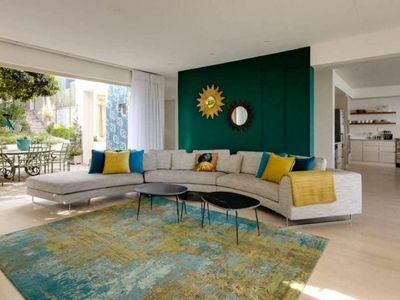 Living Area: The open plan L-shape kitchen, dining and lounge area with stunning sea views is located on the second floor. 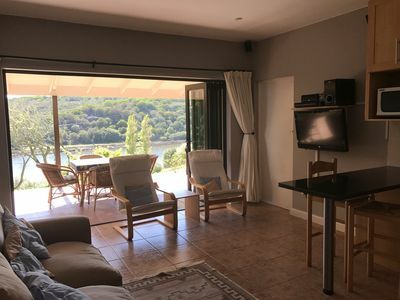 Kitchen is fully equipped with dish washer, washing machine, microwave, 320 litre fridge and separate 125 litre chest freezer, electric hob and oven. 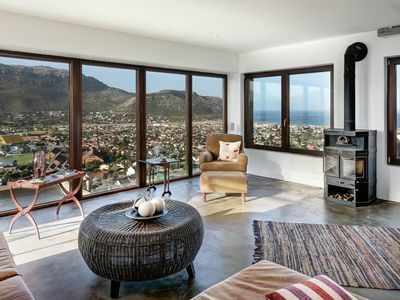 TV with Compact DSTV is provided along with a large DVD library. Ceiling fans are rarely needed - let the ocean breeze take over by opening the front and back sliding doors. Snooker Hall: Covered snooker/pool table, cues and balls available on ground floor. 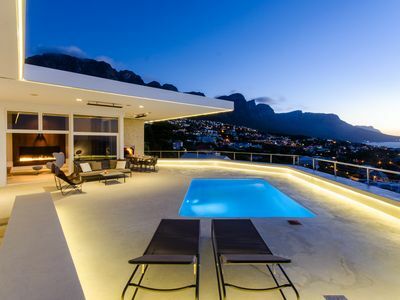 Outdoor Terrace: Private pool. 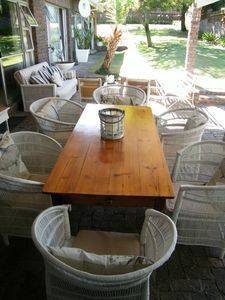 Six seater-table and chairs for outdoor dining. Weber charcoal braai provided. Lights in surrounding natural bush for evenings on the terrace. Pool loungers x 2. Safe: for cash, passports, iPads and small valuables available. 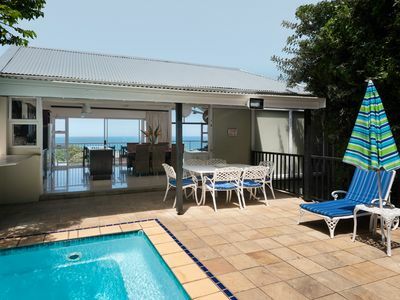 Deck: Extra deck in garden with spectacular views over the house to Indian Ocean. 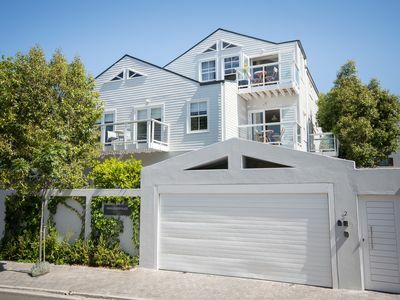 Garages: 2 covered car ports and 1 garage. Housekeeping: Included on Mondays, Wednesdays, Fridays and departure days. 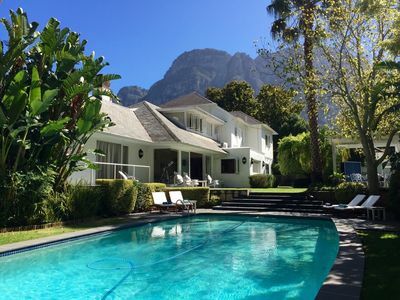 The house can be serviced extra days through our housekeeper at a small local cost. 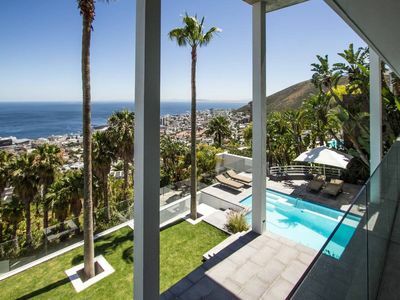 Detached luxury familihuis with stunning mountain and sea, with private pool. 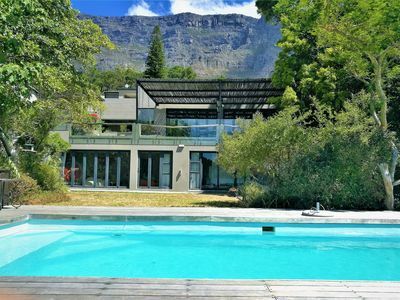 Family House sleeps 9 with large Heated Pool, Tennis Court and Mountain views.